As the capital city of the prefecture of the same name, Nara sees many visitors throughout the year. The city has many popular shrines and temples, but if you're looking to explore the region and avoid some of the crowds of the usual sightseeing hot spots, check out these lesser-known (but still great!) spots. 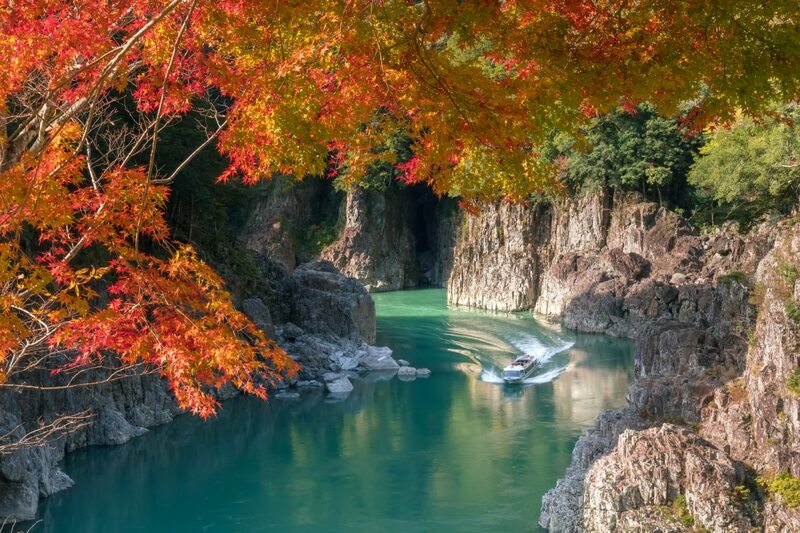 Dorokyo Gorge is located in Yoshino-Kumano National Park in the village of Totsukawa. It also spans Wakayama, Nara, and Mie prefectures in the southern part of the Kii Peninsula. A gorgeous natural area, you can take a tour of this gorge in a boat and see an array of scenic elements linked together. Highlights include sheer, vertical cliffs which were created through erosion of geological layers formed by the solidification of magma, as well as deep pools of water and oddly shaped rocks. The four-meter-long Mitarai Valley (about 13 feet) is where the Sanjogawa River and the Tennogawa River meet in Nara Prefecture. Mitarai Valley is an amazing hotspot in the village of Tenkawa, where tourists can enjoy hiking, plan a BBQ night by the riverside and relax during warm summer nights—which is easily the most popular time of the year. Mitarai Valley is about a three-hour journey from Nara. You can also stay at the nearby hot spring town of Dorogawa Onsen during your visit to this valley. You’ll have to take a train to Shimoichiguchi Station and then a bus to Dorogawa. There are many narrow mountain roads along the route, and we recommend reserving cottages well beforehand during the summer season. The Katsuragi Kodo Path is an ancient road that runs through Katsuragi along the base of Mount Katsuragi and Mount Kongo. This path offers hikers an opportunity to explore and traverse historical shrines and temples that come along the way. It was once the domain of the powerful Katsuragi Clan, and now offers beautiful scenery to hikers throughout the year. Mount Katsuragi is famous for beautiful pink azaleas in late spring and red amaryllis flowers in autumn. Apart from the picturesque beauty, the walk also offers travelers an insight into the past of the region with historical remnants that date back to the Yayoi Period (300 B.C.–third century A.D.). Some parts of the path are lined with Jizo statues. This Buddhist deity is well-known in Japan as the protector of travelers and children. It is believed that these Jizo statues always watch over travelers as they endure the journey. It takes about two hours to walk the path from Mount Katsuragi and Kamoyamaguchi Shrine, through small villages and farmlands to Takagamojinja Shrine. This shrine dates back to the Muromachi Period (1336-1573), and has beautiful gardens with primroses in spring and irises in mid-summer. From here, you can continue eight kilometers (about five miles) south to Gojo, a beautiful town known for its historic townscape. This Buddhist temple is located in the Abe area of the city of Sakurai. 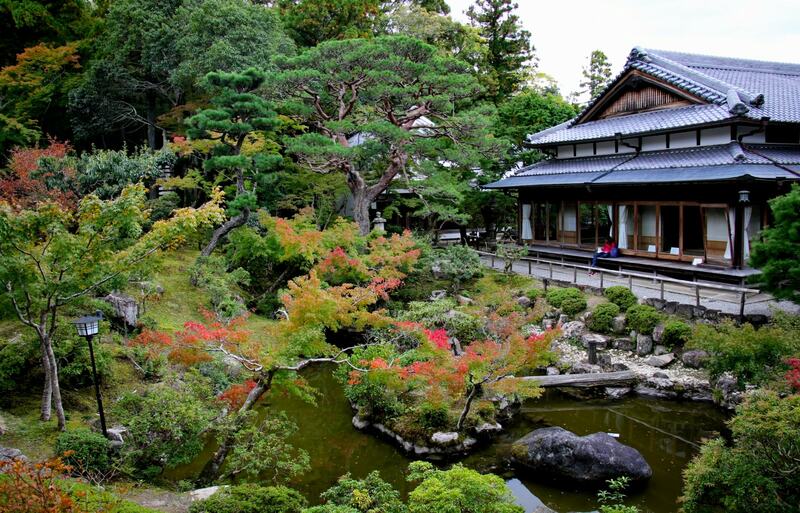 Abe Monju-in Temple dates back to the seventh century, and is one of the oldest Buddhist temples in the country. Abe Monju-in Temple engages in kito (prayers and practices) to grant believers wisdom and good fortune with the divine power of Buddhas. The statue of Monju Bosatsu, or the Buddha of wisdom, is enshrined in the main hall, and was carved by Kaikei, a prominent Japanese sculptor, in the the 13th century. The statue of the god sitting on a lion is seven meters (about 23 feet) tall. Monju Bosatsu is also holding a raised sword, which represents cutting away ignorance. You can visit the Ukimi-do Hall, also called Nakamaro-do, which enshrines well-known historical figures such as Abe-no-Nakamaro and Abe-no-Seimei, who were both born in this temple. People in this temple worship Benzaiten, a Goddess that brings luck. This hall also exhibits many temple treasures. The city of Uda is home to the Matabei Cherry Blossom Tree. This magnificent weeping cherry blossom tree is believed to be about 300 years old. The cherry tree is surrounded by many peach trees, and the view when the two blossom together is incredible. This tree is named after a local samurai who later became a monk. This samurai’s house is believed to be in this area, and he is also believed to have planted this beautiful tree, which now stands 13 meters (about 42 feet) high. The cherry blossoms bloom beautifully from early to mid-April, and each year more than 50,000 visitors come to see the tree. To get to the tree, you can take the Kintetsu Osaka Line to Haibara Station. From where you have to take the Nara Kotsu Bus bound for Ouda. Get off at the stop for Ouda High School, and you'll be able to reach the tree in about a 15-minute walk. Alternately, you can take Japan National Route 166 to reach this place in a car. Parking facilities are available, for a fee. This Buddhist temple is located in Kitakatsuragi, and was founded in 613, when it was built on an ancient tomb. The main hall of the temple includes a wooden statue of Prince Shotoku, who is seen wearing a crown and holding a scepter in his hand. The temple also has a wooden Senju Kannon statue, and its presence attracts thousands of tourists throughout the year. It is believed that this statue originally had 500 hands, though it now possesses only 392 hands. You can also see eyes in all the palms of this statue. To the northeast of the main hall is a statue of Prince Shotoku’s pet dog. The statue of the dog in white has become the official mascot of the nearby town of Oji. If you want to see the other awesome entries on this list, you can read the original article from Trip101 via the link below!